How to work with NuGet? You will be redirected to http://visualstudiogallery.msdn.microsoft.com/27077b70-9dad-4c64-adcf-c7cf6bc9970c . 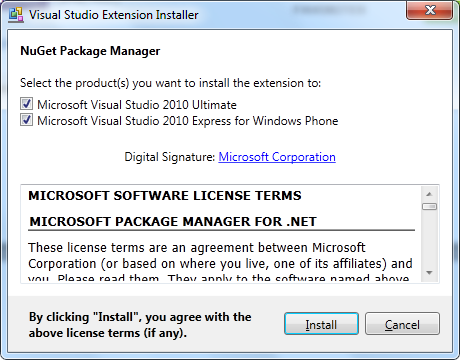 You need to click download to download NuGet Package Manager. After downloading click package to install . It will take fraction of seconds to install it. 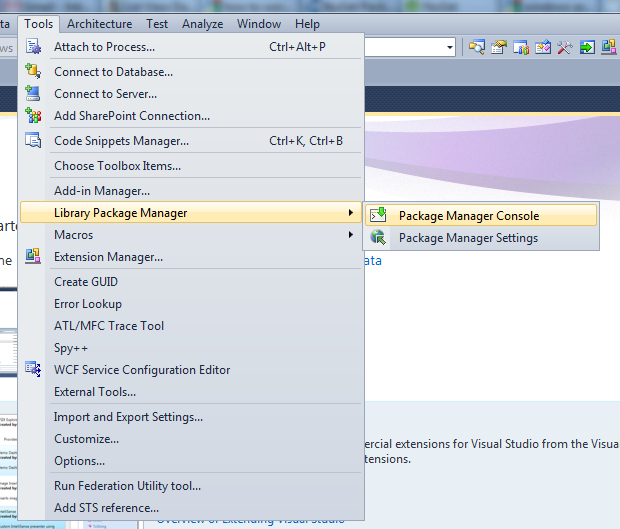 After successful installation if you go to Tools then Library Package Manager, you will get option for Package Manager. 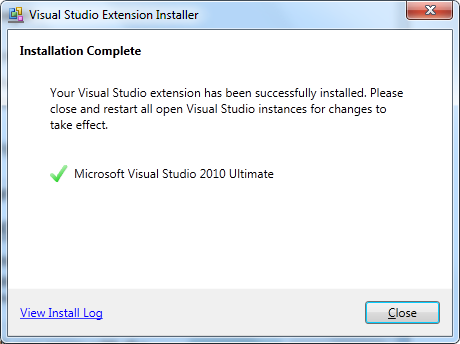 In this way you can update and remove a package as well. You can read full documentation here . Now what are you waiting for? Go ahead and use NuGet. I hope this post will add some value in your learning. Thanks for reading. So true. Thank you so much for this information!